There’s nothing better for an exploration company than coming across historical geological data that others have missed and then realise its importance. Such is the case this week, with ASX-listed, multi-commodity explorer Metalicity, who has pegged two exciting new prospects in the revered Fraser Range province, by simply inspecting some 39-year diamond drill core collecting dust in a Kalgoorlie library. Admittedly, the library is managed by the WA Department of Mines and Metalicity was like a bloodhound sniffing out these opportunities to add to its emerging Fraser Range portfolio in southern WA. But what a find it might turn out to be. The company was set on the trail by locating two interesting geological structures it had noted from open file geophysical data, that turned out to have intriguing magnetic and gravity anomalies. In 1980, Kennecott Explorations was targeting Olympic Dam style mineralisation in this region and completed one diamond drill hole each into the areas that Metalicity staked this week with two new exploration licence applications. The sense of excitement stems from what these historical drill holes contain, with the southern most tenement having a 192.5m vertical intersection geologically logged with disseminated copper sulphides within a layered “mafic intrusive”, alluding to the style of ore system the company is seeking in this district. The new northern tenement application contains a 635 metre deep vertical diamond hole that was logged as having “olivine norite” present, which is an intrusive rock typically associated with magmatic nickel, copper and PGM mineralisation – much like Sirius’ Nova-Bollinger. Kennecott walked away from the area saying it was not considered prospective for Olympic Dam style iron oxide-copper-gold deposits. Fast forward 32 years and up jumps the Nova-Bollinger discovery, after which point, intrepid explorers have come from far and wide, trying to repeat that success throughout the Fraser Range. 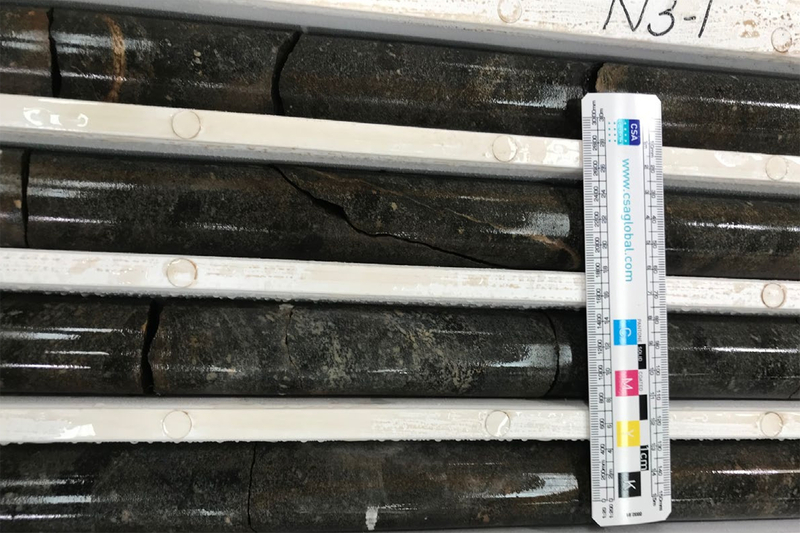 According to the company, it will now re-sample sections of the historic drill core and submit these samples for assaying and mineralogical determinations and will report the assay results and technical work as it becomes available. Metalicity is now on the march in the Fraser Range, having decided this is a pretty good area to be looking for nickel, copper and PGM mineralisation. Add to this, steady growth in its landholdings in the emerging Paterson province in the Pilbara of WA and it becomes clear that the new leadership team is navigating the company towards a base metals future. Oh, and a big thumbs up to that dusty Kalgoorlie library.